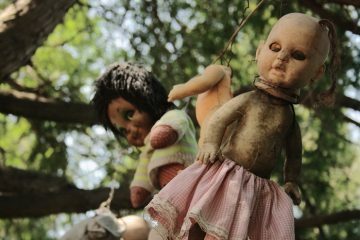 If you think tree houses are just simple wooden huts built for your children to play in it, your idea may change after seeing below complex structures. 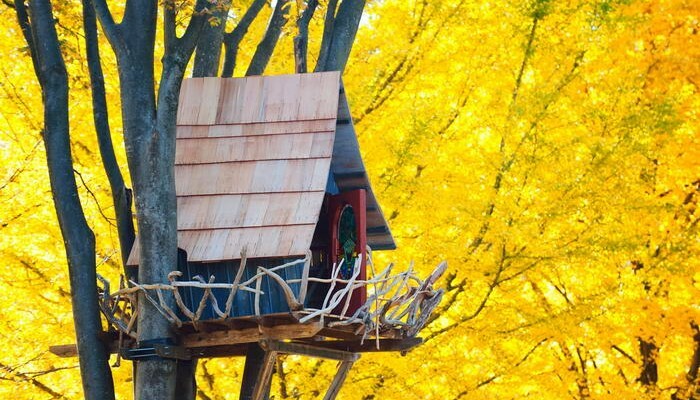 Here is a nice collection of beautiful, fantastic and fairy-tale-like tree houses. 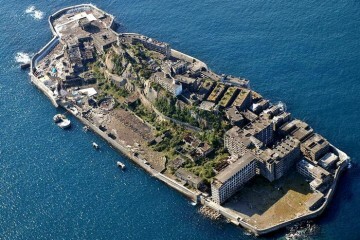 Probably most of them are cooler than your apartment. Don’t you think so? 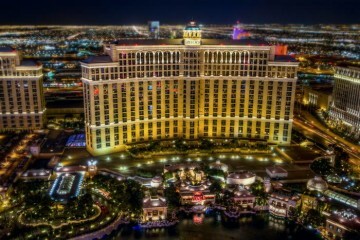 Some of them are open for renting and serving as hotels too. 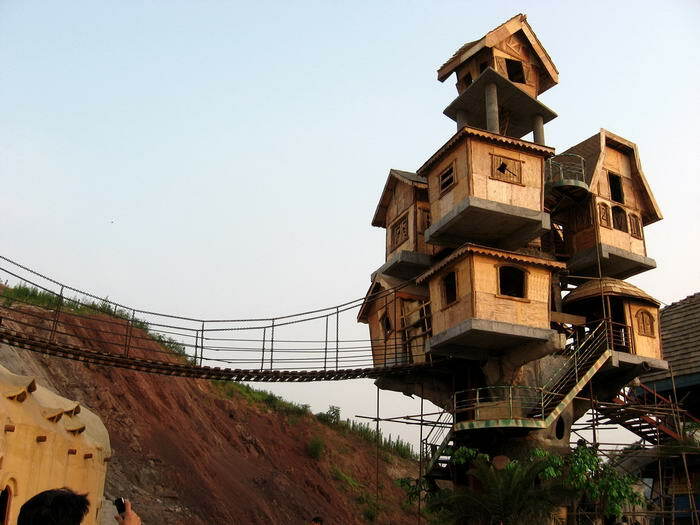 Located in Chongqing, it is a structure of Multiple tree houses connected together. 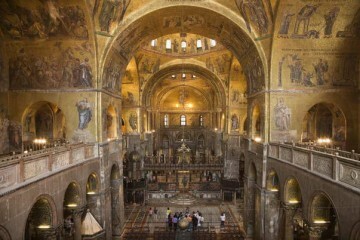 The inside of it is simple and modern while the outside is pure fantasy. 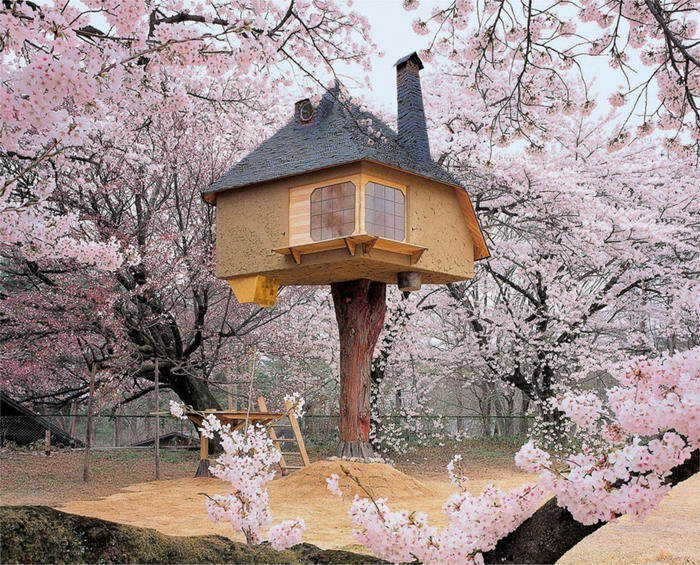 You can find this tree house surrounded by gorgeous cherry blossoms. 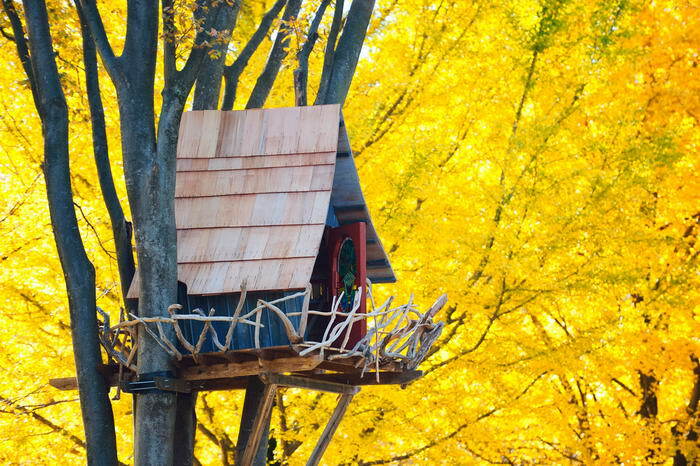 Located in Tokyo,Japan, this tiny tree house has a fence made of crooked branches that gives it a look like a big bird’s nest. 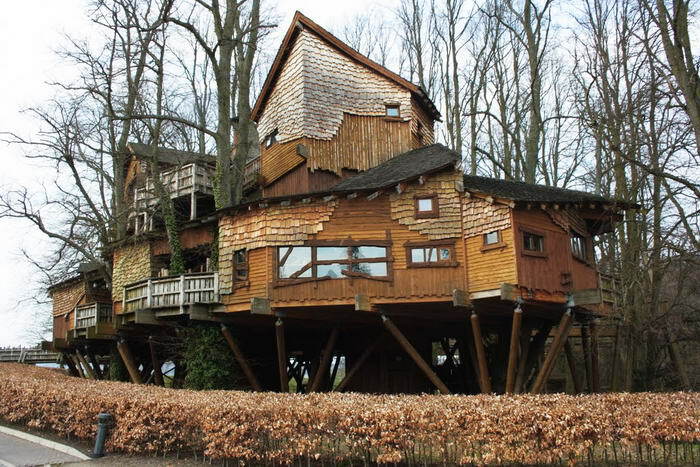 Located in Alnwick, Northumberland, UK, this might be the one of the largest tree house in the World. You can see trees growing through the floor inside of this huge house. 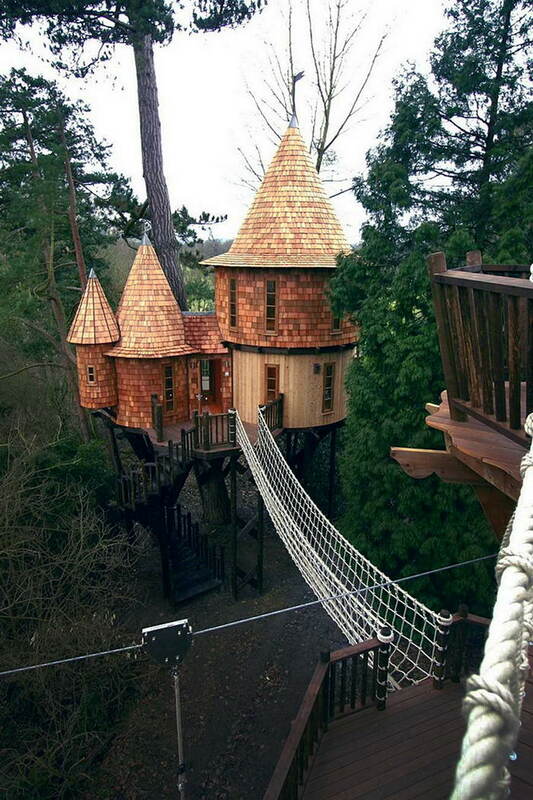 This castle look-like tree house is located in UK. With its canopy walkway, it may be a fun playground for both adults and kids. Designed by Lukasz Kos, Four Tree house is built around four trees as you may guest with its name and it will swing with the wind. But don’t worry. Designer used steel cables to avoid any accidents. 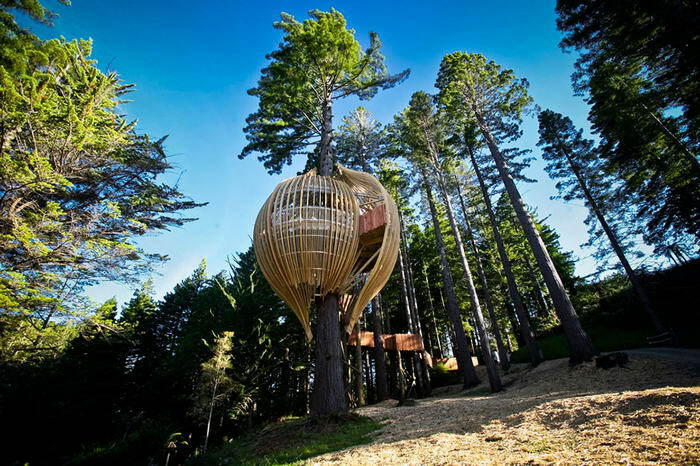 Located in Auckland, New Zealand, it is a restaurant constructed on a 40 meter high redwood tree and has a 1.7m diameter at its base. 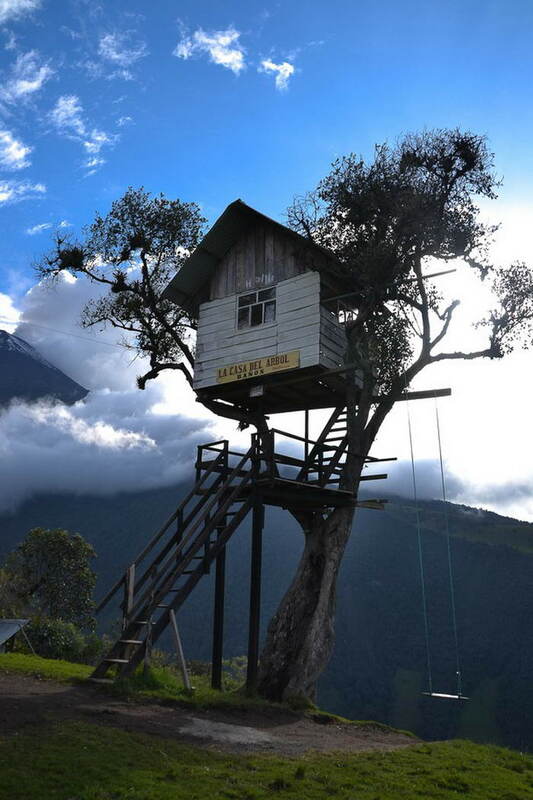 It is a one of a kind tree house with the swing at the end of the World located in Baños de Agua Santa Ecuador. 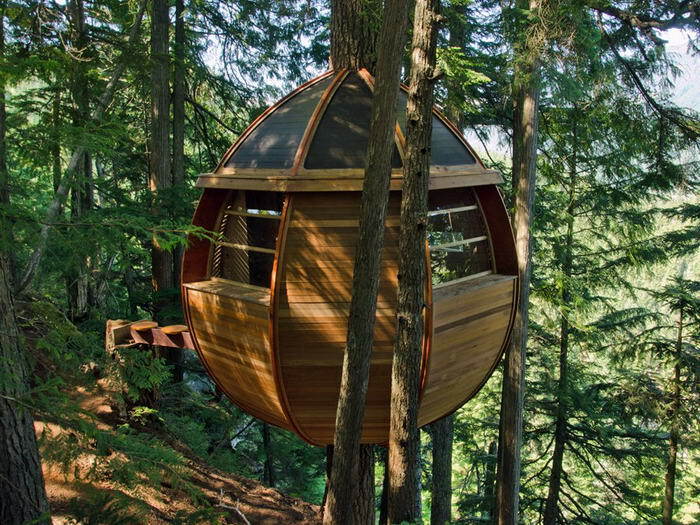 Located in Whistler Woods, Canada, this wooden egg-shaped structure has been secretly built by Joel Allen. 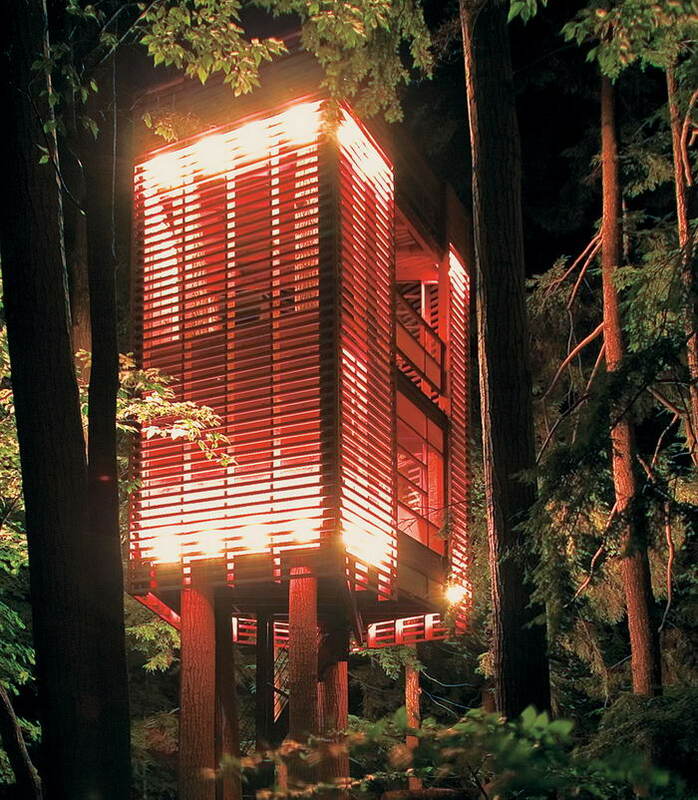 They call them tree house for adults. 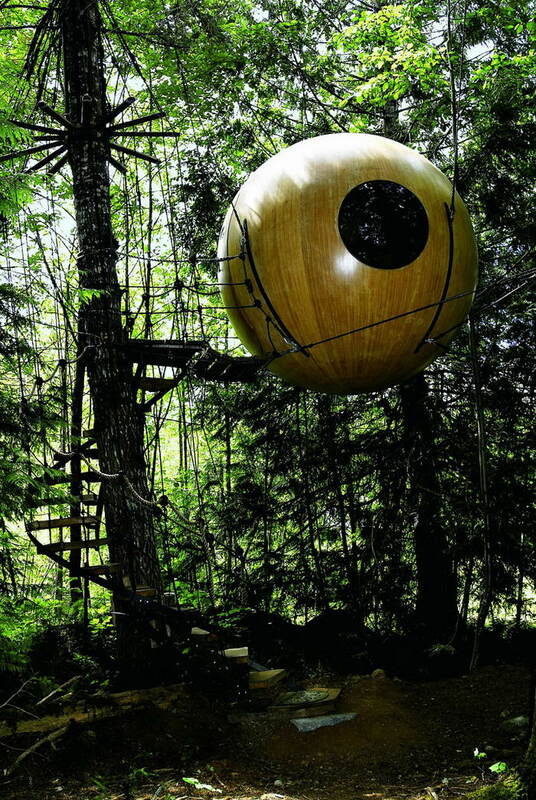 Built on vision and engineering these handcrafted spheres are suspended like pendants from a web of rope and located in Qualicum Beach, BC, Canada.